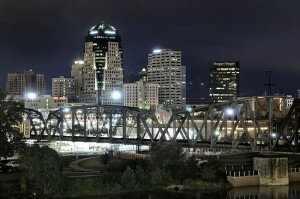 SHREVEPORT, La. — Shreveport City Council is expected to vote on Tuesday on a proposal that would add sexual orientation and gender identity to its list of protected classes. While Shreveport Mayor Cedric Glover signed an executive order in 2009 declaring protections for all city employees who are homosexual or transgender, the proposed Fairness Ordinance would extend the provisions to all residents within the city. The Fairness Ordinance before city council would prohibit employers from firing or declining to hire employees that are homosexual or transgender. Landlords would also be barred from turning away prospective tenants due to their sexuality. While there are exemptions for religious groups, such as churches, non-profit organizations and small businesses with less than eight employees, it is unclear whether it would be illegal for a Christian business owner to require that staff be Christian or abstain from sexual immorality. If passed, those who violate the statute would be fined $500 for the first offense, and $1,000 for every offense thereafter. New Orleans and Baton Rouge currently both have similar laws on the books, with the latter providing protections based on sexual orientation, but not gender identity. As previously reported, similar legislation was approved earlier this year in San Antonio, Texas after controversy erupted over the proposed statute. But in September, as reported by San Antonio Express-News, over 350 black and Latino Christians flocked to city hall to condemn the proposal and rebut common claims that homosexual behavior is comparable to the color of one’s skin. There are currently 188 cities nationwide that have similar laws in place.